Green SoCal: Will Beverly Hills Residents Block Subway? Predictably there are hints of a lawsuit from Beverly Hills homeowners over the Westside Subway Extension. The reason? Because a new option for a station closer to the center of Century City will run under 30 residential properties. The reason Metro has proposed this option is because ridership would increase significantly at this major office hub and there is also a better chance at federal funding. But in stereotypical fashion according to an LAist.com report from a recent community meeting, some citizens of Beverly Hills have concerns about a subway running underneath their property despite the fact that subways run under private property in just about every major city in the world. And according to Metro there have been no complaints from property owners about L.A.'s Red Line. 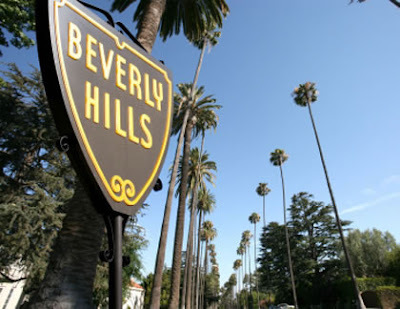 These wealthy Westsiders are taking the wrong approach by worrying about lowering their property values instead of looking at this as a golden opportunity to actually increase property values by making Beverly Hills more transit-friendly. It has proven time and again that subway stops spur economic development and raise property values. I suggest these elitist B.H. residents take a trip to the place I'm about to move to -- Arlington, Virginia -- and see firsthand what Washington's Metro Orange Line undergound subway has done to this urban county across the Potomac River from Washington, D.C.
Arlington is the opposite of Beverly Hills in that it is one of the most public transit-friendly places in the country and also one of the most affluent with high-end residential, retail and office space centered around each Metro station. This lawsuit will fail. The Beverly Hills NIMBYs will lose this time because the Westside Subway is going to roll through the heart of Beverly Hills and make a stop in the heart of Century City whether they like it or not. And hopefully when there is a world-class transportation system in West L.A. these Beverly Hills residents will learn to love riding the rails.